Hi! 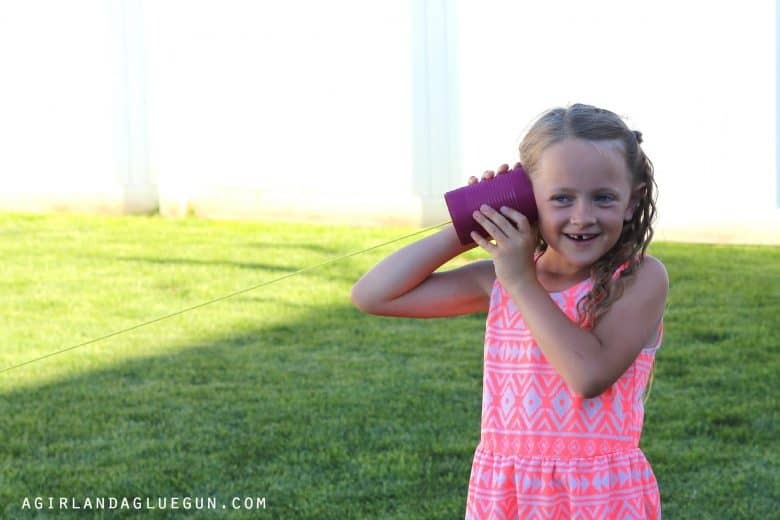 I’m kimbo from a girl and a glue gun I’ve got a super fun post for you! 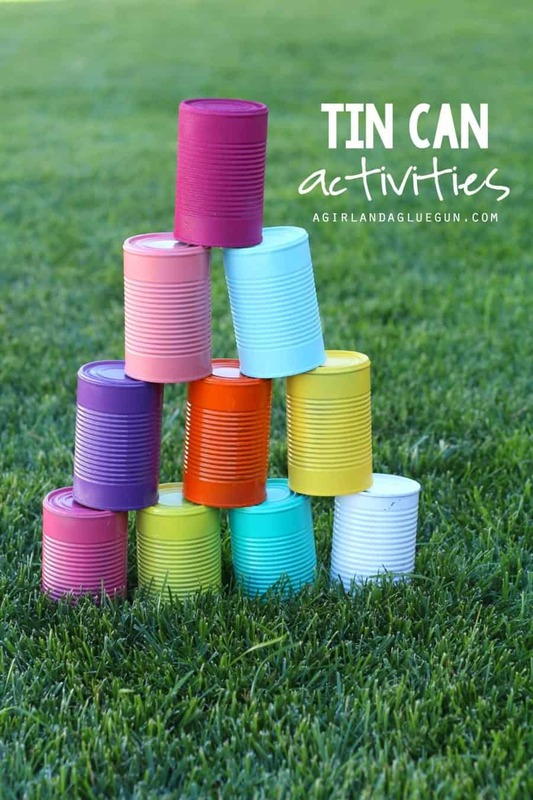 5 fun things to do with tin cans! yup…corn, green beans, tomatoes, cream of mushroom! 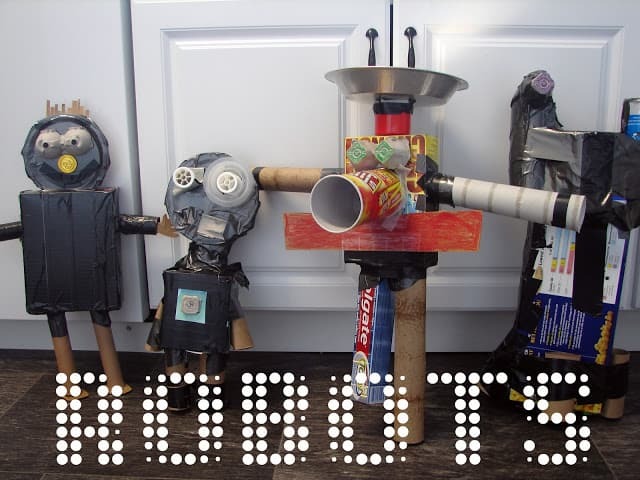 we are saving all those cans, cleaning them out and having some fun!!! 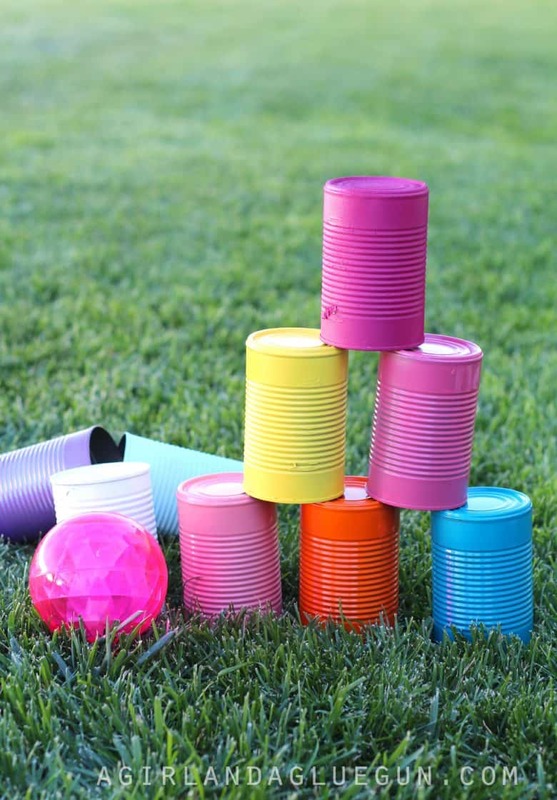 Spray paint will make these cans totally fun and colorful! and of course you can have kids decorate them with paint or stickers to really jazz them up!!! 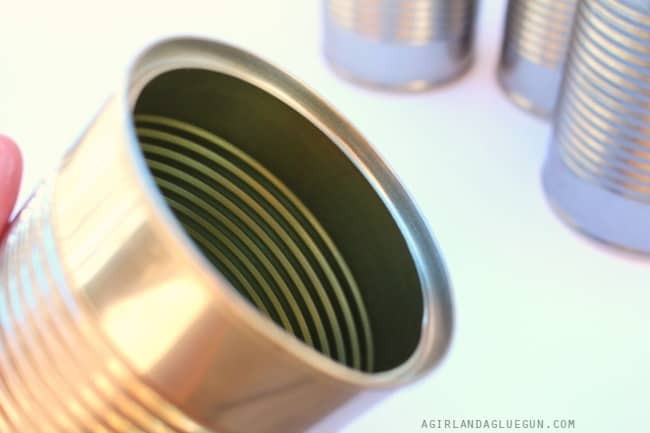 FYI!–The cans with the pull tab is going to give you a lip that won’t cut little fingers! So keep that in mind! 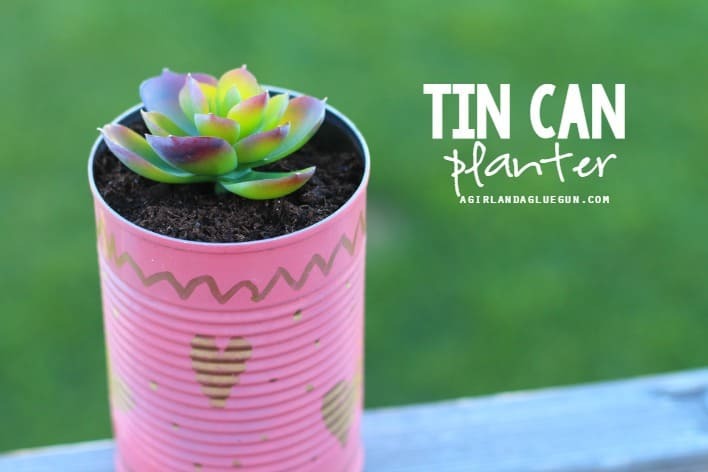 Okay…here’s all the fun stuff you can do with old tin cans! You can stack them or just lay them out. 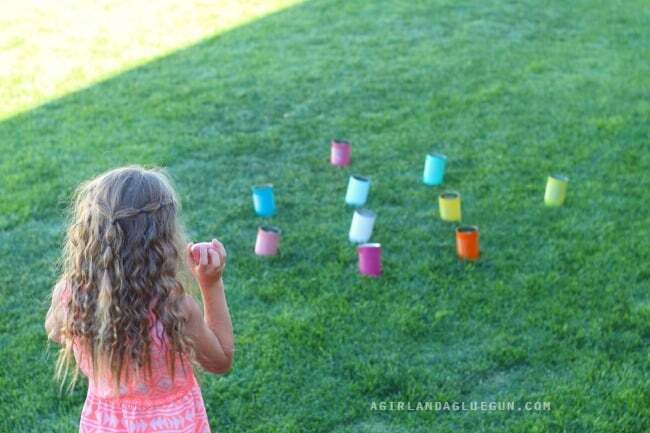 Use rocks, a ball, even bean bags! Bowling is classic! I don’t care who you are…knocking stuff down is always fun! Bringing it back to old school!!! My kids were so excited to try this! and they really worked! 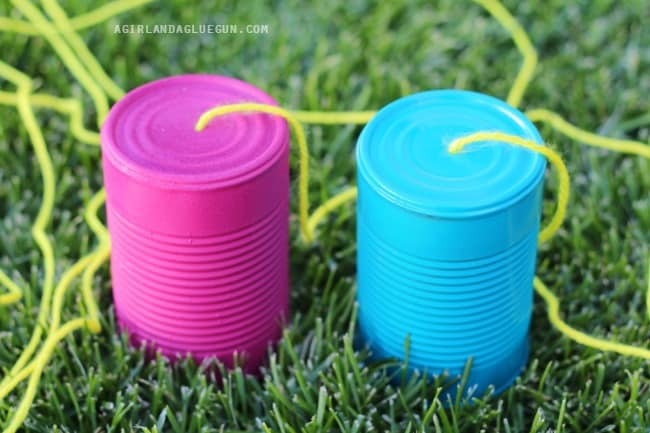 Two cans, pop holes in the bottom with a nail and a hammer. string through some yarn and tie notes to keep them from falling out the holes. Then tell secrets all summer long! 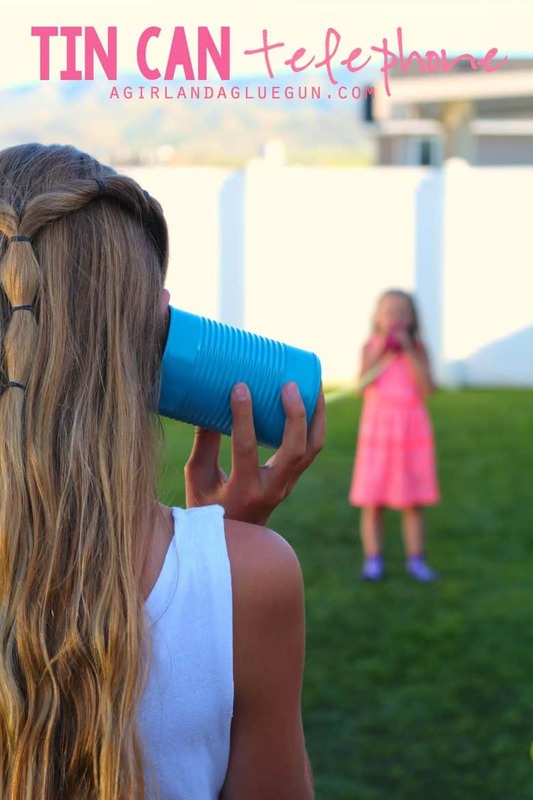 Just like the telephone game…Make sure to pop some holes in the bottom to drain the water! 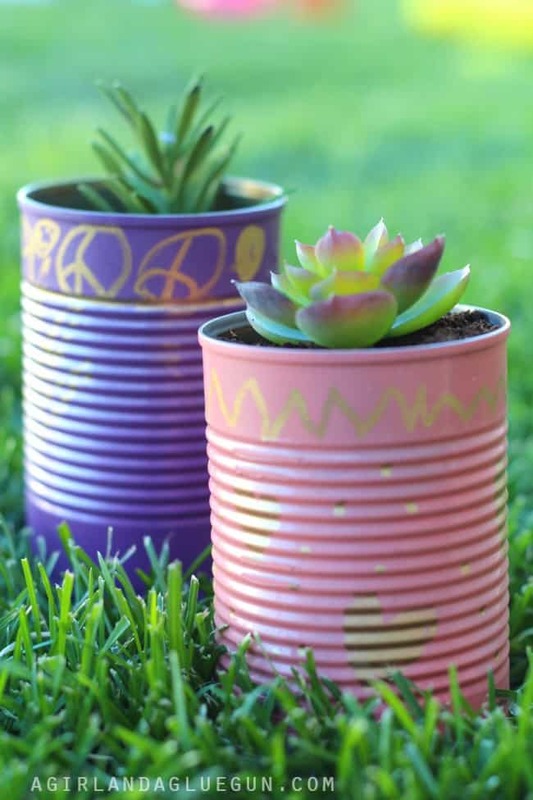 Let the kids decorate the cans (we actually just used paint pens! no mess) Then plant the seeds and watch them grow! This one was probably my kids favorite! Make some holes on both sides towards the bottom (which will become the top!) string through some rope or twine and tie a knot. FYI: it was a lot easier to walk on hard ground instead of grass! 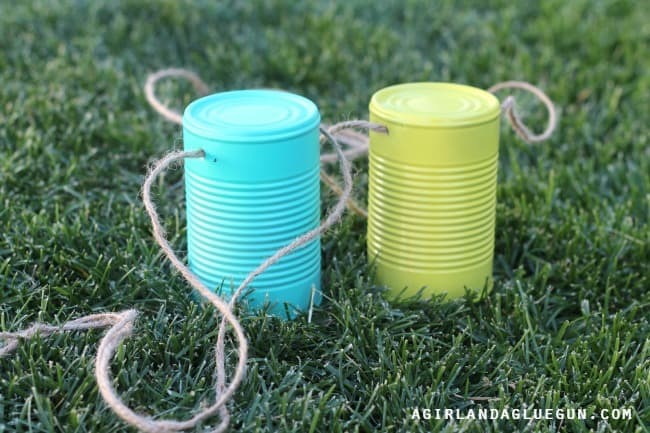 We just spread them out and added some painted rocks to toss into the cans! You can put treats inside and if you get the rock in the can you get the treat. 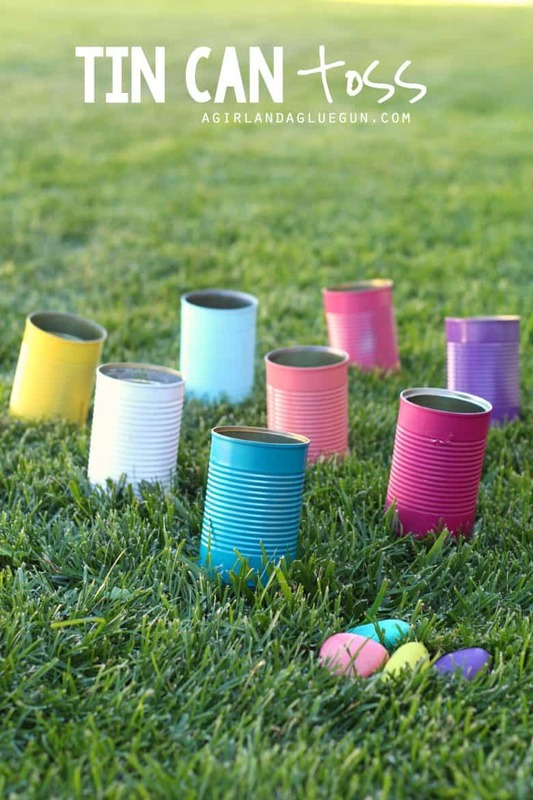 This would also be super fun if you had different sizes cans. 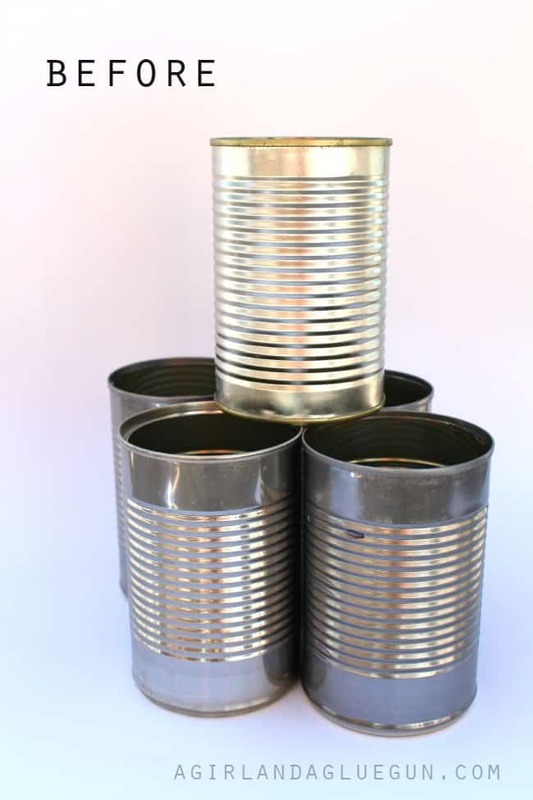 the big big cans could be worth 5 points. medium size 15 and small cans could be worth 50! 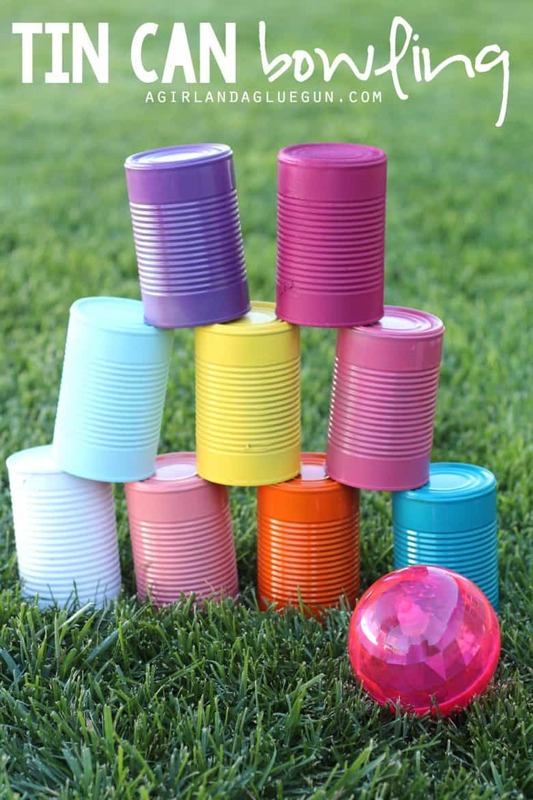 You can also get tons of different sizes of cans and let the kids “build” with them! and My daughter was playing around and hiding rocks under the cans and we had to guess and see which one was it. 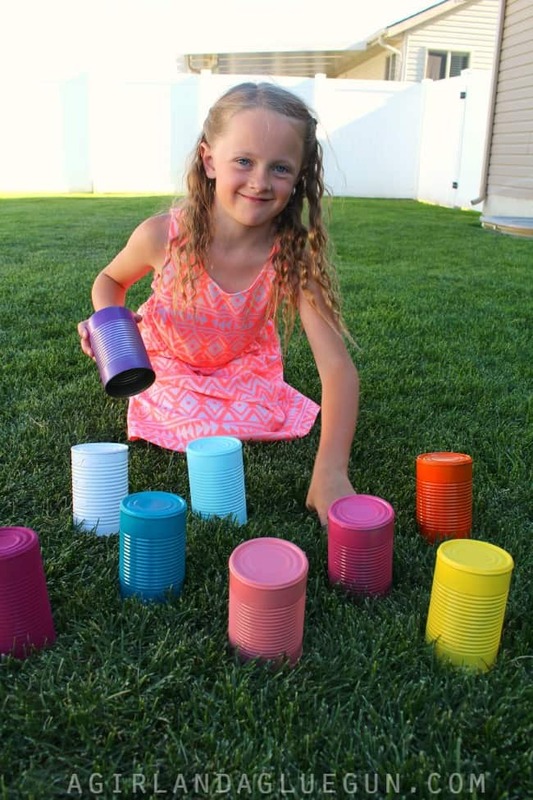 A cute little memory game!